Hello! I wanted to share a sweet little gift card holder I made using the adorable Lawn Fawn Frosty Fairy Friends stamp set once again, along with the Frosty Fairy Friends Lawn Cuts. I cut the box using a Silhouette file out of some Lawn Fawn Perfectly Plaid Winter dp and then added the hills using the Lawn Fawn Stitched Hillside Borders. 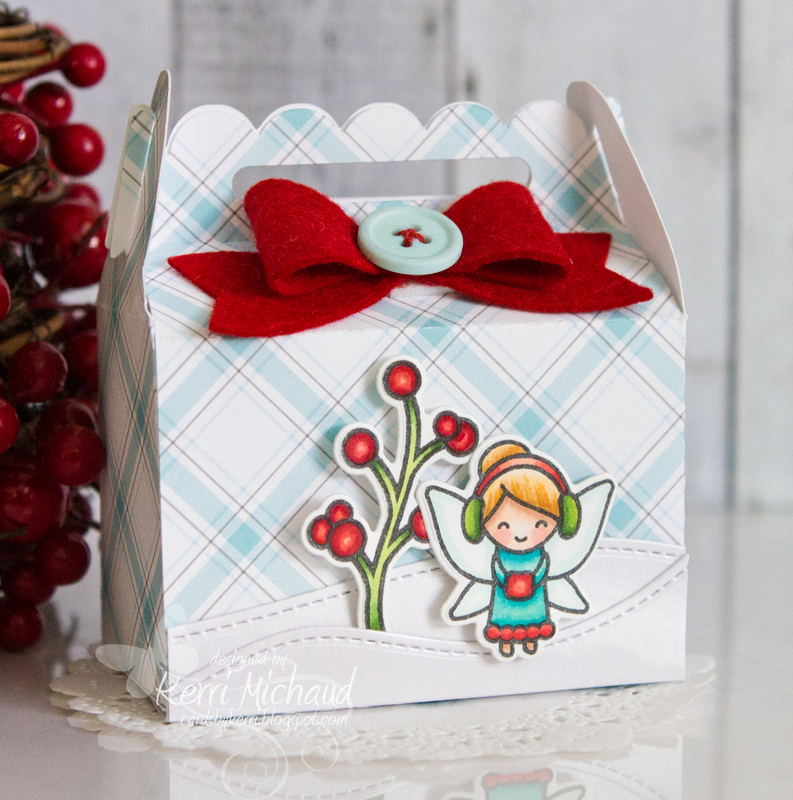 The bow was cut out of red felt using the Taylored Expressions Mix and Match Bows Dies. Super simple but so cute!!! Thanks for stopping by!